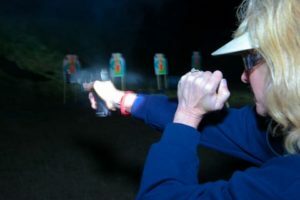 Most defensive pistol situations occur in no light or low light environments. 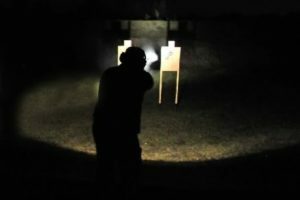 The goal of Condition Yellow Academy’s Night Shoot Course is to provide the student with training in a dark environment to simulate these conditions in a private range atmosphere. The course will include moving targets, dueling tree, multiple target engagement, and shoot/no-shoot scenarios. Location: 2908 IL. Rt. 120 McHenry, IL. Proper deployment of flashlight & pistol utilizing the Fuentes, FBI, Harris, Modified Rogers/SureFire, and Ayoob Hold.